The 2018 cross country season is just on the horizon and to predict the top individuals and teams this season, we're releasing watchlists for each category. To get a fuller picture of how returning athletes might fare this year, I used lists of the Top Returning Girls Teams for 5km from last season, the Top Returning Girls Teams for 1600m, and the Top Returning Girls Teams for 800m from this spring so that I could rank teams based on consistent performances over the past year. We continue with Division III Girls Teams and are working down to Division I Boys Teams. The Division III Girls are a very young group with a few squads primed for contention at the State Championships. Over the past two years, we've seen the same teams finish top three at the State Championships and this year they each return hungry for the Title. Last year, Ganado won the State Title and the year before it was Salpointe Catholic. Coconino have finished runner-up both years and they've matured significantly but have they got the girl power to overtake Salpointe and Ganado? 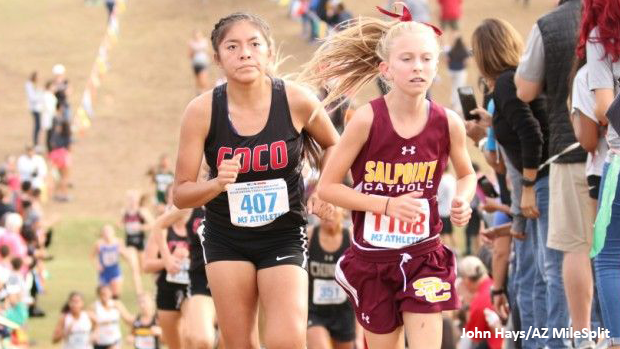 Here's our subjective list of Division III Girl Teams to watch over the 2018 cross-country season beginning with a few honorable mentions.